The sensual sophistication of the Puli collection is simply wonderful underfoot. 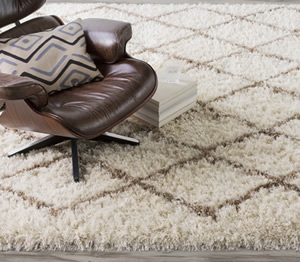 A modern update of the shag technique, these rugs are densely constructed for a plush texture that looks as luxurious as it feels. Made of easy-living synthetic fibers, Puli comes in a range of richly pigmented neutrals and a few fashion-favorite brights.